In his best-selling book, The Purpose Driven Life, Rick Warren establishes that one’s life on this planet is for a far greater purpose than what most of us think. Well beyond our dreams, ambitions, career, even family, our meaning in life must start with God. In fact, we were actually born into existence by His purpose specifically for His purpose. Most of mankind searches for the meaning of life by focusing on ourselves and our own desires and goals. This will ultimately lead to disillusionment and disappointment, regardless of the heights and success one might achieve in this life. 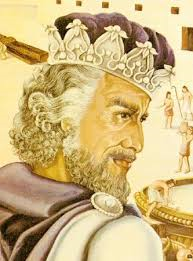 Consider King Solomon, one who ‘had it all’ and considered the wisest man to have lived. (Read his story in 1st Kings.) He amassed great wealth and power with God’s blessings but squandered God’s favor with lusts that lured him away from the God of Abraham and into the worship of false gods and idols. At the end of his tragic life he noted poignantly, “Vanity of vanities…all is vanity” and then “…the same destiny overtakes us all…(we) join the dead.” (See Ecclesiastes 9.) Many a person has sadly come to these same conclusions in the quest for life’s meaning apart from a steady walk with their Creator. Self-sufficiency, natural talents, goal-setting, self-help and discipline is admirable and even helpful, but again, being successful in life and fulfilling one’s purpose are not the same issue. There must be something more. As Christ himself asked “For what profit is it to a man if he gains the whole world, and is himself destroyed or lost?” Warren offers that we can either speculate on the meaning of life or succumb to God’s revelation in His Word, the Bible. There’s no middle-ground. Philosophers and other smart people have speculated for centuries on the meaning of life; the data shows that most have just been guessing. Dr. Hugh Moorhead of Northeastern Illinois University once wrote to 250 of the best-known philosophers, scientists, writers and intellectuals in the world asking them, “What is the meaning of life.” He published their responses. Some offered best guesses, some admitted they just made up a purpose for life, others admitted they were clueless. In fact, some even requested he write them back if he discovered the purpose of life. Beyond speculation, we can turn to what God has revealed about life in His Word. It is the owner’s manual for how to do life – why we are alive, how life works, what to avoid and what to expect. Sobering to think that, like Solomon, we can ‘get it’ at one point yet lose it if we drift and takes our eyes off the true prize. Ultimately for all, the world’s wisdom with secular values, success-motivation and even inspirational stories will leave us wanting. To discover our true purpose in life we must reach beyond our own thinking of purpose and reach for the supernatural. It is indeed “God’s wisdom…a mystery hidden” that has been revealed to us in scripture and available for guidance and true sustenance. Are you finding life’s meaning in man’s speculation or God’s revelation?